Over 80 per cent of the poll spending by the candidates in Gautam Buddh Nagar constituency was by the nominees of the BJP, BSP and Congress with Union Minister Mahesh Sharma accounting for a third of the total Rs 1.24 crore, official data showed. This, however, is the individual spending by the candidates till April 9, the last day of campaigning for the polls held on April 11 and does not include expenses charged to their parties. The details also showed that the individual expenditure by top three candidates was more than the combined spending of the remaining 10 candidates. BJP's Sharma, who is seeking re-election, spent Rs 42.68 lakh, Congress' Arvind Kumar Singh spent Rs 35.68 lakh and Bahujan Samaj Party's Satveer Nagar spent Rs 24.73 lakh till April 9, the poll expenditure details from the district election office stated. The candidates of the top three parties together spent Rs 103.09 crore in fighting the election, 82.73 per cent of the entire spending by all nominees, it stated. Altogether 13 candidates contested with Dayaram of the Aapki Apni Party (Peoples) being the most frugal in the Uttar Pradesh constituency that borders the national capital. He spent just Rs 31,000, the data showed. Of the 13 candidates in the fray, six spent less than Rs one lakh and four above Rs 10 lakh during campaigns, it said. Sher Singh Upadhyaye of the Rashtriya Janata Party spent Rs 33,000, Ram Pal of Rashtriya Samaj Paksh Rs 35,135, Raghuvendra Kumar of Subhashwadi Bhartiya Samajwadi Party Rs 54,811 and Vinod Kumar Nagar of the Rashtriya Bhartiya Jan Jan Party Rs 80,900, it stated. Independent nominees Rodash Gupta spent Rs 32,571, while Ashok Kumar Adhana poll-related expenses were registered at Rs 2.33 lakh, the details showed. According to the Election Commission, a Lok Sabha candidate in Uttar Pradesh can spend a maximum of Rs 70 lakh in election expenses. The voting in Gautam Buddh Nagar was held on Thursday during the first-leg of the seven-phased general polls. The EC had brought in a ceiling in individual poll expenditures to ensure level-playing field in elections and also check undue influence on electorate by means of money power. "Exceeding the prescribed ceiling of expenditure can be a ground for an election petition against a winning candidate," the EC guidelines state. 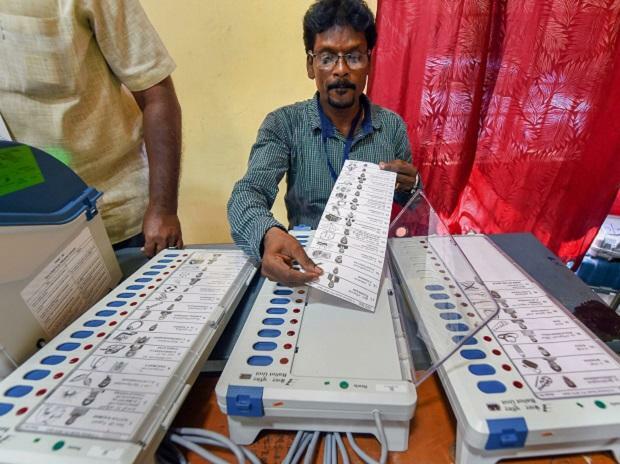 Gautam Buddh Nagar's Assistant District Election Officer (ADEO) Rakesh Sharma said from the date of filing the nomination till the end of campaigning, the candidates' poll expenses are accounted for three times. "The overall final expenditure which also includes the expenses made by a candidate's political party is done around a month after the polls. With the voting done on April 11, the individual expense figures are final as updated on April 9," he told PTI.